You are here: Home / Aging Articles / Debt after death? Who is responsible for my parent’s credit card debt, mortgage and other outstanding financial obligations when my parent’s die? Many of us boomers are finding ourselves functioning in a role as a caretaker or advocate for our aging parents. Being their next of kin does bring on certain moral / ethical obligations, however when it comes to the financial side of things, do you understand your legal responsibilities? All too often, as adult children we make the assumption that just because our parents have told us they have an estate plan, insurance policies, funeral plans a will and advance directives, we take it at face value. While it may be a difficult conversation to have with our parents, if we are to be left behind ensuring that their funeral wishes are carried out coupled with closing out an estate, it’s necessary to understand their wealth / debt structure, so there are no surprises. If your parent(s) died in a care facility using Medicaid to pay for their treatment, usually there is minimal debt to be concerned about. The laws are pretty straightforward when qualifying for Medicaid but they do vary among states. Normally, a house is the only sizable asset left, depending on the state they reside in, a lien may be placed on the home to recover Medicaid costs. It’s when parents die and there is: credit card, mortgage, and automobile (etc.…) debt, you’ll need to know your risk. In most situations creditors can’t hold you accountable. Note, that doesn’t mean they won’t try to bully you or become aggressive in leading you to believe it’s your responsibility. 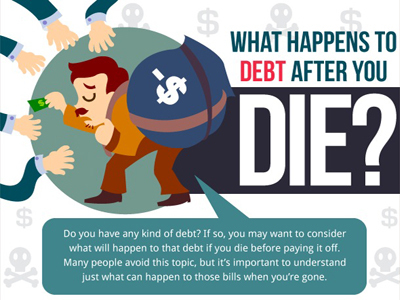 Here are three ways you can ensure you will not be financially responsible for their debt. Don’t co-signer for any loan. Don’t have your name on their credit card. Don’t place your name jointly on any utility or creditor account of theirs. If your name is NOT on any of their leveraged accounts, the estate will be liable. 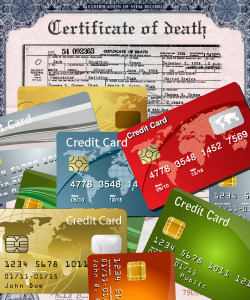 From the time of death, creditors have a designated period of time where they file a claim against the estate. (The norm is a six-month period.) If your parents had an IRA, 401K, or even life insurance, it’s essential to know who the beneficiary is. If it’s the estate – the debt will be paid from these monies. If it’s a designated person or person(s) or even a “trust”, the creditors can’t make a claim against it. 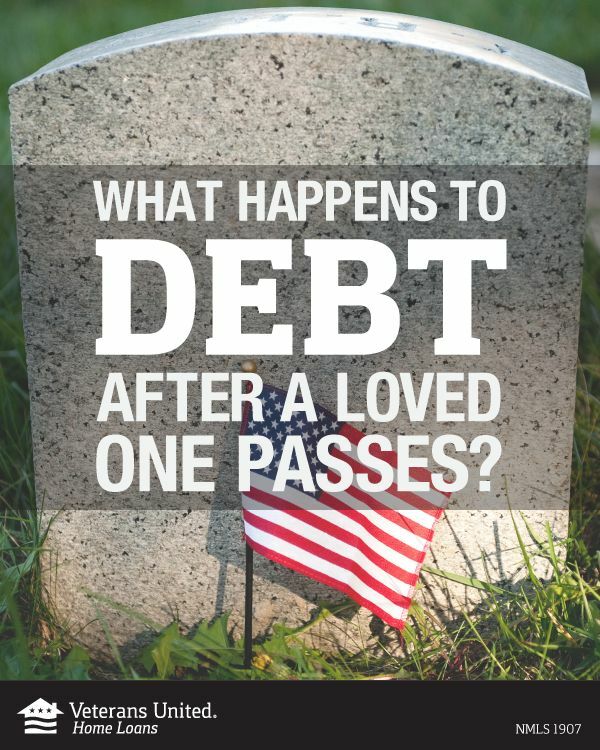 If there is no estate or not enough money to cover their debt in its entirety, the estate pays as much as possible, and the rest of the debt, died when they died. Let me be clear – the creditor can only go after the estate for the debt. Finally, if your parents did not leave money to pay for their funeral, you can charge that cost against their estate. The funeral home may ask you to pay it upfront, however please know that you can claim this against the estate. You will need paid receipts. Courts most always move the funeral cost up to the top of the list. In closing – there are numerous expenses that we did not discuss, such as medical bills, utilities and taxes. When in doubt seek out an attorney, however each state’s law is pretty straight forward. Before you take on un-necessary debt, please know your legal risk exposure. Note: Please understand, I’m not an attorney, nor am I representing myself as one. Let me go on record to again stress everything is state specific, however there are some things you can do in advance to ensure your credit and finances are not impacted! Hi Jodi- what about if they have consigned on a student loan? Great question. If they are co-signed, you will have to report to the loan that they have died and their name will need to be removed. If there is any outstanding liability the estate could be liable. This would vary based on the contractual agreement that both parties signed. Without reading the contract – I can’t give a blanket response. I’m sure it’s addressed in there. None the less, it does need to be reported. Thanks for asking.